European Matsuri (summer festival). A successful annual event that sees BBD students getogether for a weekend of training from across Europe. Much of this training is in the great outdoors next to the River Trent. 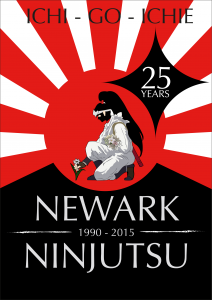 This will be the 5th successive year that the Matsuri has been held at our Newark Ninjutsu dojo. Itinerary details will be available from May.